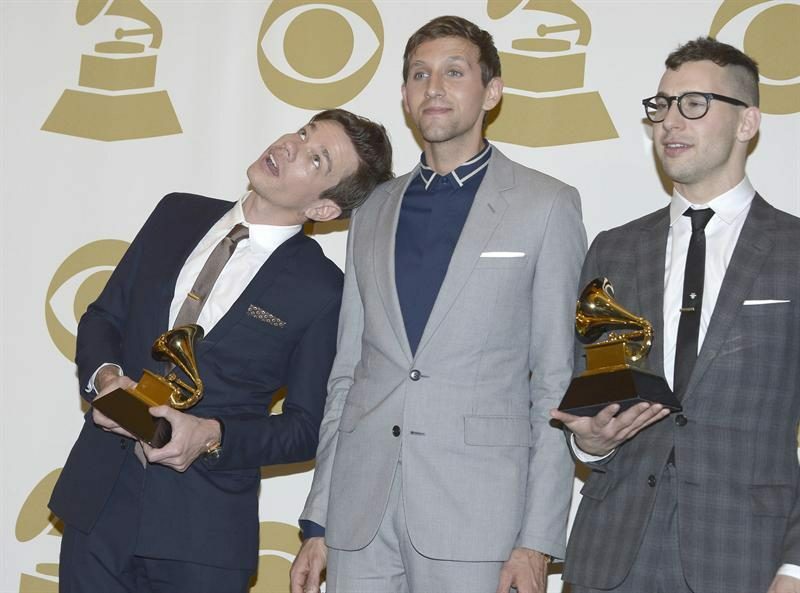 Members of the band, fun!, are from the left: Nate Ruess, Andrew Dost and Jack Antonoff. In a minute, as legendary newsman Paul Harvey would have said, you’ll know the rest of the story. At least you will if it’s not too late for a story that ties Sunday night’s Grammy Awards to Muscatine County. But what hasn’t attracted a lot of attention is the Muscatine County roots of Nate Ruess, 30, the band’s lead singer. According to his Wikipedia page and numerous readers who have told me about him, Ruess was born in Iowa City. And he lists Glendale, Ariz., as his hometown. But his dad, Larry Ruess, is from the West Liberty area and his mom, Bess Zinger, is from Wilton. I’m pretty sure he still has family in the area. All this proves is that AC/DC was right: It’s a long way to the top if you want to rock ‘n roll. And a guy who I would guess has actually been to Muscatine County has made it to the top of that long hill. Speaking of the roots of rock ‘n rollers: I like the band fun!, but I really like the Black Keys. El Camino was the best album of last year. I don’t care what anyone else says. If you are also a fan of the Black Keys, you should watch this 2012 profile done by the CBS News program, Sunday Morning. The reporter, Anthony Mason, followed the band’s two members, Dan Auerbach and Patrick Carney, back to their hometown of Akron, Ohio, where — get this — Carney’s dad, Jim, is a newspaper reporter. It’s a great story. Put on the Black Keys and you never know what might happen…Gold on the Ceiling…!!! !